Directions: Located about 5 miles outside of Steamboat Springs, Colorado. Normally most easily accessed from Denver or Salt Lake City. From Denver 3-4 hours: West on I-70 to Empire/Berthoud Pass North on State HWY 40 past Winter Park and Granby and on to Steamboat over Rabbit Ears pass. Pass through Steamboat Springs Center and continue about 7 miles to County road 33A on your left (now exit indicator). From Salt Lake City: 5+ hours I-80 into and across much of Wyoming, or the more scenic and direct HWY 40 almost into Steamboat. Approximately 7 miles out from Steamboat Springs center, 4 miles past the stores in Milner, turn right onto 33A - no sign on the HWY. I discovered this gem of a spot outside of Steamboat Springs through an online booking for BnB places just for a day night away from kids. Luckily I came with all my gear. 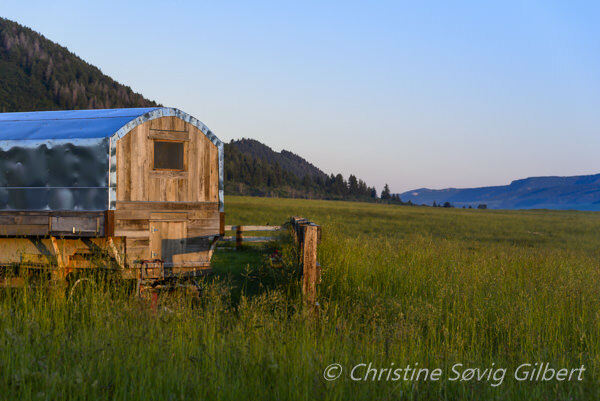 Not only can you stay in this restored Sheepherder’s Wagon on the property, but you can photograph it and the amazing other old and cared for buildings and curios. There is an 1850 pre-Civil War house/cabin the owners pulled apart in West Virginia and reassembled in the most amazing light location on their property. It is in perfect position for sunrise and sunset. And their own home (which is also an option for accommodation) is a Tennessee wood hand-built home. I spent the magic hour at both sunrise and sunset in about 100 square meters of space totally happy. I think a photography club would have a blast staying in that home for a week. I don’t work for them, honestly, and I purposefully lead you JUST about to their driveway so I don’t feel like I’m soliciting. Hopefully Nasim won’t edit me too much. Will depend ENTIRELY on whether you arrive summer or winter. Winter in the Rockies can be unpredictable. Be prepared for treacherous roads and cold conditions – or balmy spring-like days. In summer, shorts, a t-shirt, and preparedness for an afternoon Thundershower. Bring your tripod and your favorite landscape and wildlife shooting equipment. There’s plenty of room in the main building to bring your whole kit if you want. The vistas are expansive, I recommend something quite wide, but there are also horses, trees and a river nearby. I used my 24-120 f/4 with my D610 for all my shots, but I was wishing I had a prime at hand too. A zoom is also a great idea for the animals (domesticated) and potential birds and other wilder animals. There are also lots of opportunities for street photography in the daytime in downtown Steamboat Springs. I wouldn’t plan on too much internet/cell service. It was patchy and varies from carrier to carrier. The location is perfect for both sunrise and set. Take your pick or love both. There are great vantage points for both. The sun is usually quite abundant in Colorado, but be prepared to work with stormy weather too. The light hits the 1850 cabin and goes through it in all manner of angles – it’s no longer whole – so time of year should only create different angles. I did not shoot the stars, but I imagine it’s a good spot – there are no lights to disturb you. Filters are handy for the river nearby, although I don’t use any so I can’t make recommendations. 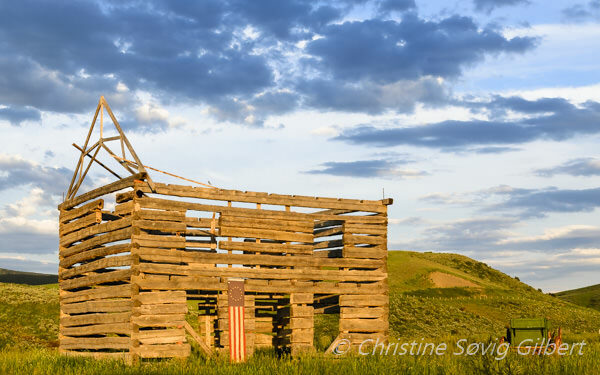 I like to shoot the old wooden buildings JUST after the sun comes up or is about to set for warm tones in the wood. June/July is perfect Wildflower season. I was a little early this year. This is what happens right before the sun sets. I am spending the week in a condo in the actually steamboat city. I want to take an evening out at the place you mentioned for some shots. Would they let me do you think without actually spending the night there? How did it go? It is their private property so I’m not sure – I wouldn’t want to say – oh! they’d love that! Or oh they’d hate that!